Learn how to knit this warm and colorful last minute hat using a free pattern in PDF format with the step by step instructions. This is one more beautiful knitting project and a great opportunity for those knitters who love and enjoy making hats in different styles. Right now, we are going to teach you how to knit these eye-catching last minute hats in the best possible way. This is a beginner level pattern, so there is nothing complicated with it and I’m sure you’ll handle it without any difficulties. Please, enjoy your knitting time and always feel free to share your experience with us. Good luck and happy knitting. Have a lot of knit worthy loved ones on your gift list or need a gift for a surprise guest? 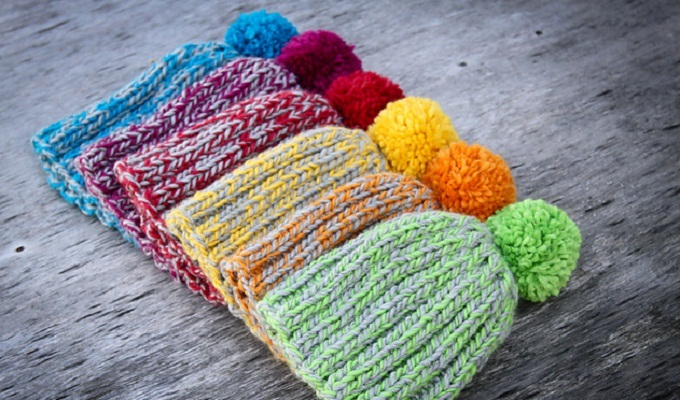 you can knit up these fast and easy hats even at the very last minute. Just download this free pattern and enjoy your knitting.